As many have already heard, this year's Sandy High School graduating class will mark a momentous occasion not many schools can boast. The class of 2017 will be the 100th class to graduate from SHS, the class size some 100 times larger than that of the three-girl strong class of 1917. As such an occasion calls for, the Sandy Historical Society started planning ways to commemorate the anniversary about a year ago, ultimately deciding on 10 a.m. to 2 p.m. Saturday, May 20. Ann Marie Amstad, of the SHS class of 1964, and Gary Coates, of the SHS class of 1952, have led the charge as co-chairpersons of the event. "This is a celebration of what has been accomplished by Sandy High School in the last 100 years," Amstad says. "(I am looking forward to) sharing with the community and alumni the achievements of the graduates." 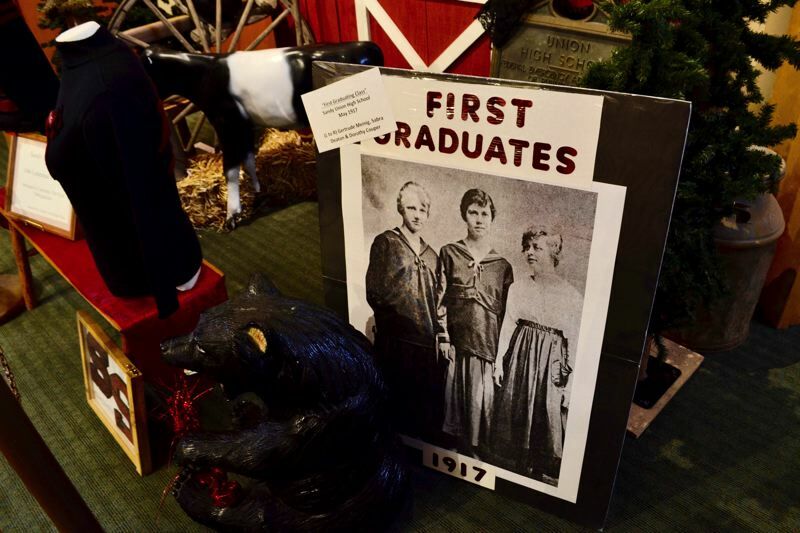 In the months leading up to the May celebration, the Sandy Area Historical Museum has featured SHS-themed exhibits both in the museum and at the new high school to stir up excitement for the upcoming event. The first month, yearbooks took the stage, truly highlighting the differences of the times. In February 2016, the exhibit showcased the physical accomplishments of the school with pictures and information about the different buildings SHS students have attended classes in through the past 100 years. The next two exhibits are scheduled to focus on music, then sports. Besides excitement, the Sandy Alumni Association will sell copies of a photo slideshow Coates created to benefit the group's scholarship fund. "We are trying to find ways to illicit donations for the scholarship fund," Amstad says. "This would be a wonderful opportunity." The big day itself already looks to be bursting at the seams with Sandy pride. Events and activities will include: a welcoming ceremony, introducing special guests in the gym, tours of the newest building, the opening of a time capsule from 1935, the unveiling of a plaque to accompany a new time capsule, reading "100 years of graduates from Sandy High School," a state exhibit about the state song, which was first played by the SHS band. Alumni are also encouraged to bring memorabilia from their SHS days to share and/or donate to the museum. For more information, contact Ann Marie Amstad at 503-706-1665 or Gary Coats at 971-344-4130.